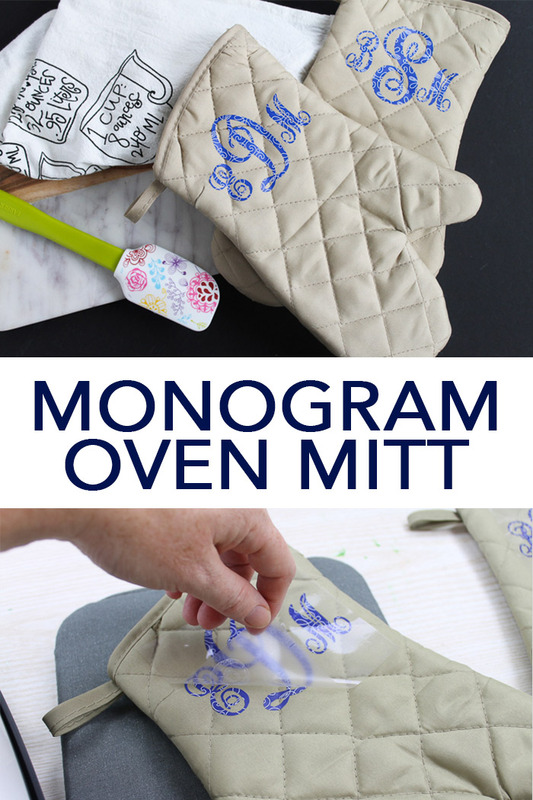 There are so many monogram ideas and anything with a monogram makes a great gift. I thought I would take a dollar store item and turn it into something special just with a monogram and my Cricut machine. Take a spin around your local dollar store and look at all of the things you can monogram! Your Christmas gift list can get a little shorter with just one trip and a few hours of crafting! I am also joining with some other bloggers to bring you some project ideas from the dollar store. You can scroll to the bottom of this post to see those as well. 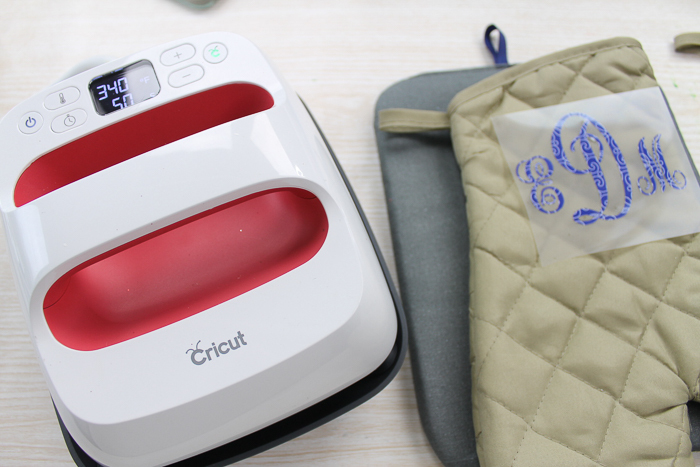 Choose a font and cut a monogram with your Cricut machine. Be sure to mirror your design and cut with the shiny side down on the iron-on material. Then weed away the excess from your design including the centers of letters. Weeding tools make this a bit easier but are optional. Then heat your EasyPress or iron to the right temperature and time for the type of iron-on that you are using. 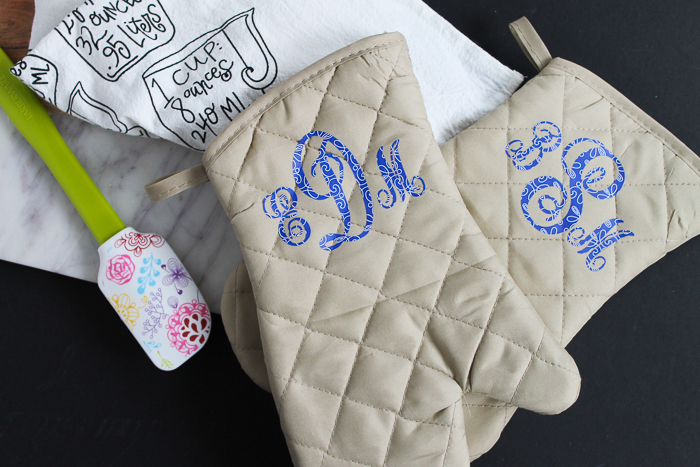 Iron your design right onto your oven mitt or any other surface. Want to see what iron-on material is good for different types of materials? Click here to see our guide. 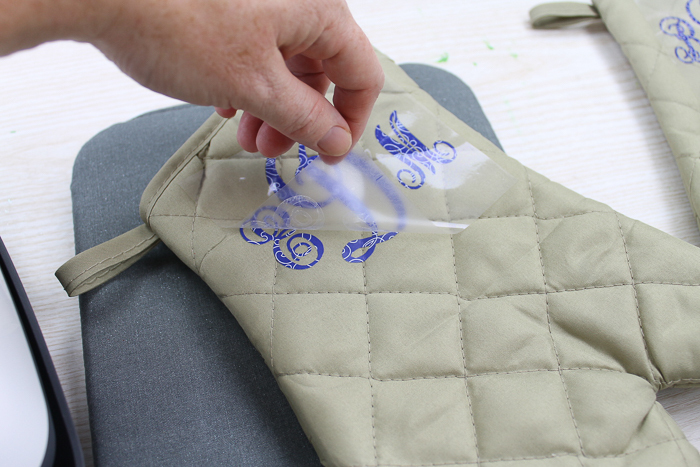 Once pressed, remove the carrier sheet to reveal your project. 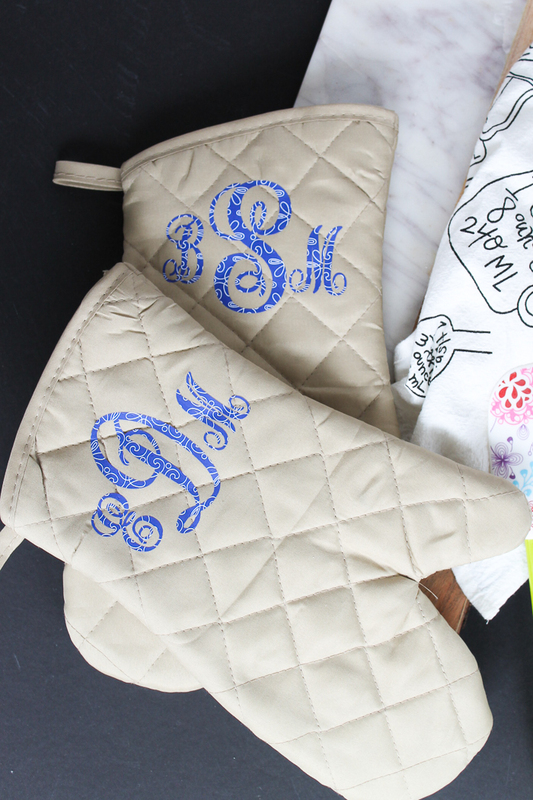 This oven mitt is ready for gift giving in just minutes! 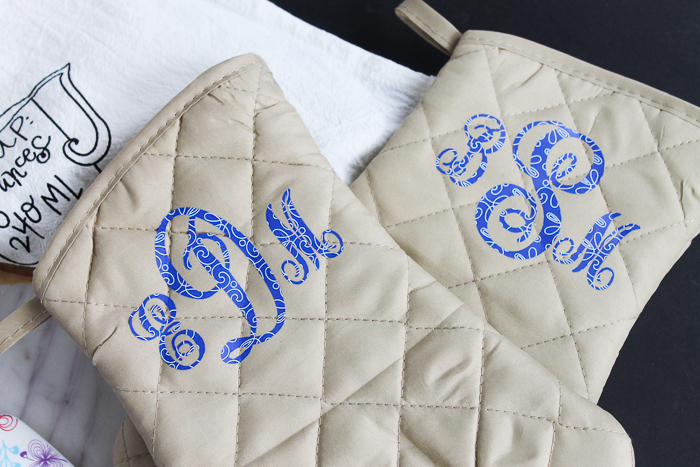 Monogram ideas make the perfect holiday gift! 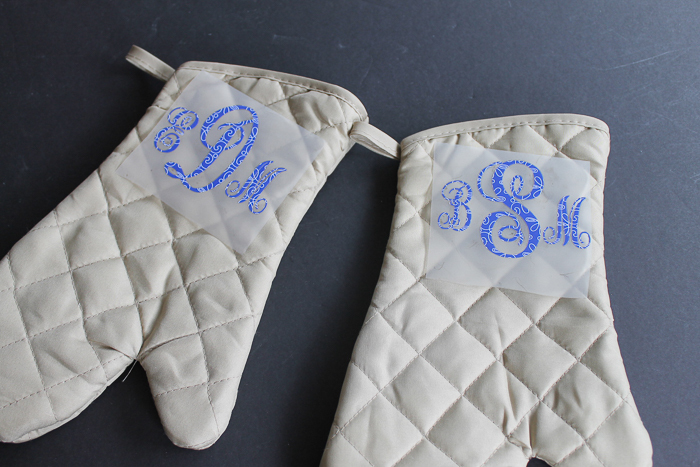 They are personalized and oh so easy to make! 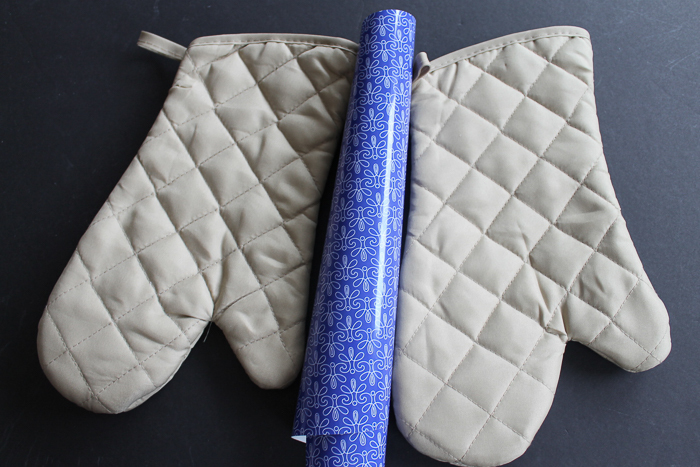 I love the look of the patterned vinyl with the plain oven mitts but you can mix and match colors/patterns on your project. You might even make one of these for yourself and add it to your own kitchen! 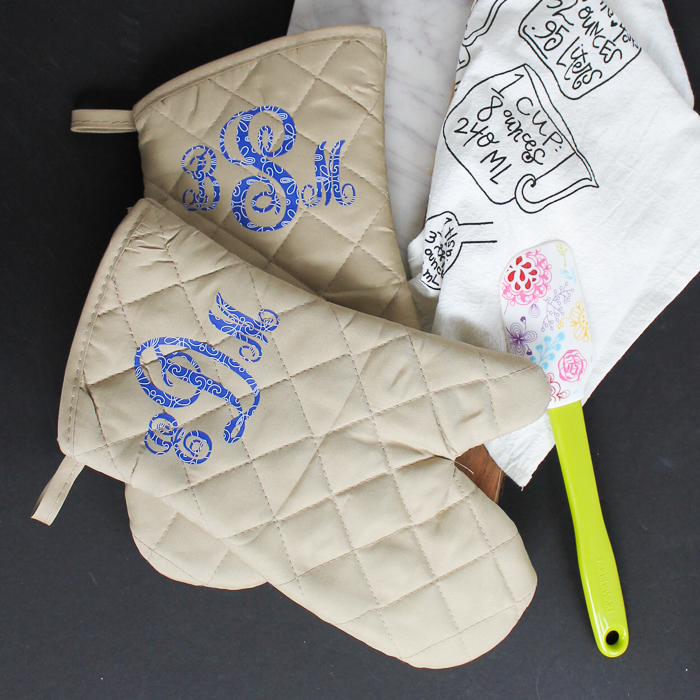 Want something to add to these oven mitts? Try these painted tile trivets! You could also make an entire kitchen set with a pot holder, a towel, and some utensils. When shopping at the dollar store, gift ideas like this one are super inexpensive! Now head out to your local store and walk around. I am positive that you will come up with your own monogram ideas for Christmas gifts this year! Now, are you ready for some more projects from the dollar store? 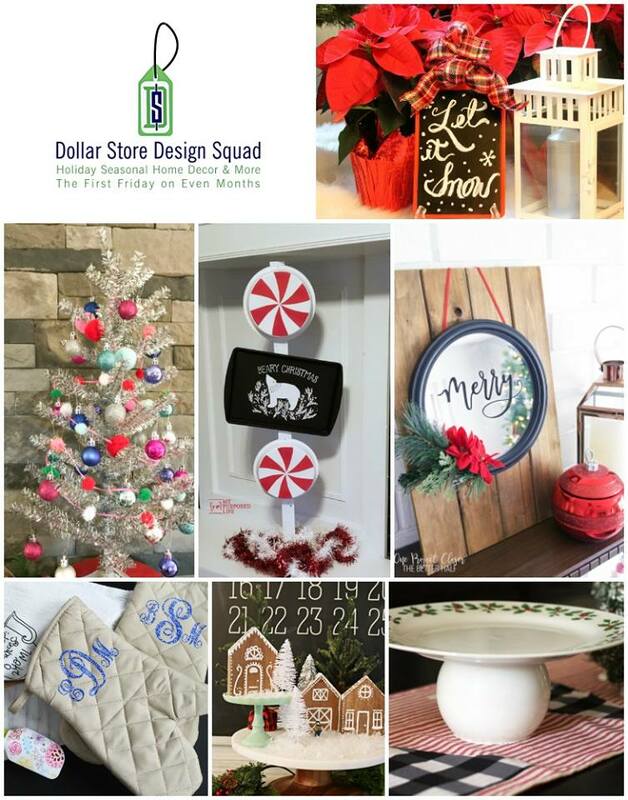 Now head to your dollar store and pick up supplies for some of these monogram ideas or any of these other fun holiday projects! 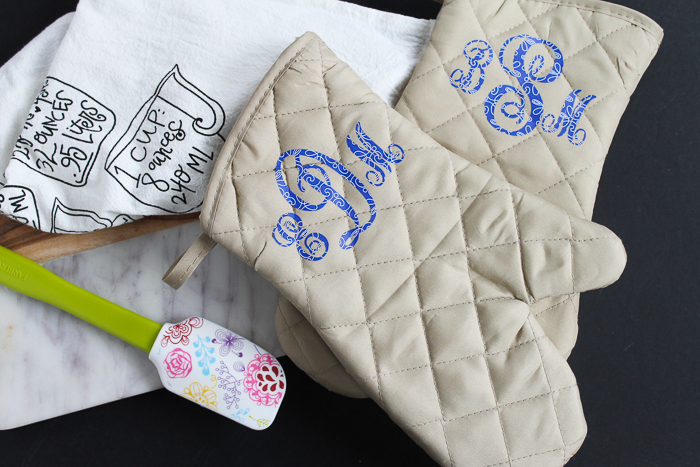 I never would have thought to personalize oven mitts! What a great gift idea.